The Department of Labor & Industries (L&I) released its second pre-draft rule November 19, 2018, seeking to update state overtime regulations. The rule is technically known as Executive, Administrative, Professional, and Outside Salespeople (EAP) exemptions to the state minimum wage act. The rule change would also affect certain information technology professionals. In this latest version, L&I announced its intention to peg salaries for exempt workers at two to 2.5 times the state minimum wage for executive, administrative, professional, and outside sales personnel, and three to four times the state minimum wage for certain computer professionals. The department also indicated the rule would take effect January 1, 2020, and could include a phased approach for smaller employers, hewing closer to NFIB’s and other business groups’ requests. Organized labor is seeking swifter implementation. What this means is that workers now considered salaried/exempt would become hourly and eligible for overtime unless they meet updated tests for the types of work performed and are paid a salary of at least $56,160 in 2020, if L&I chooses to use twice the state minimum wage as the threshold. At 2.5 times the state minimum wage, the salary floor to be exempt from overtime would be $70,200 in 2020. These thresholds could rise to $65,105 (twice the state minimum wage) or $81,382 (2.5 times the state minimum wage) by 2025. The minimum salary for computer systems analysts, programmers, software engineers, and workers in similar positions would be between $84,240 and $112,320 in 2020, likely rising to a range of $97,656 to $130,208 in 2025. Click here for a spreadsheet showing salary threshold data. Please consider attending a listening session in your area, or submit written comments through L&I’s EAP Rule engagement site. 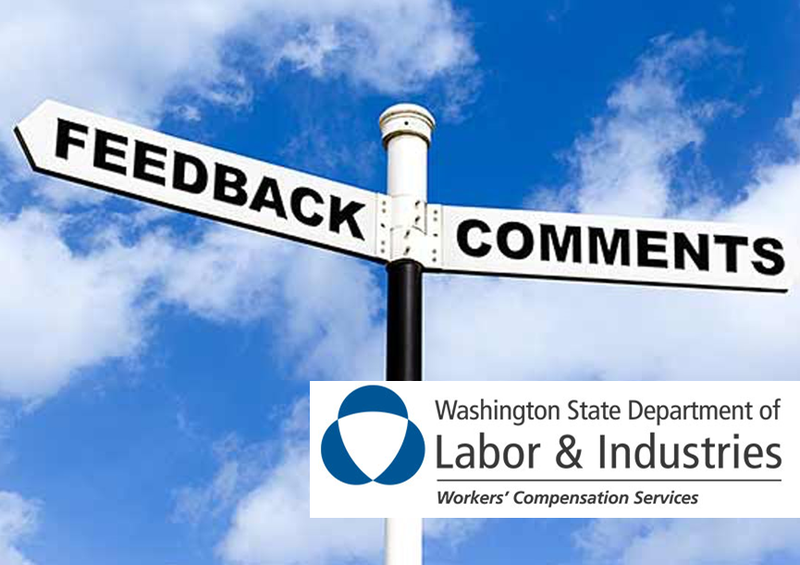 If you need assistance submitting written comments, you can email them [email protected] or to NFIB Washington State Director Patrick Connor at [email protected].